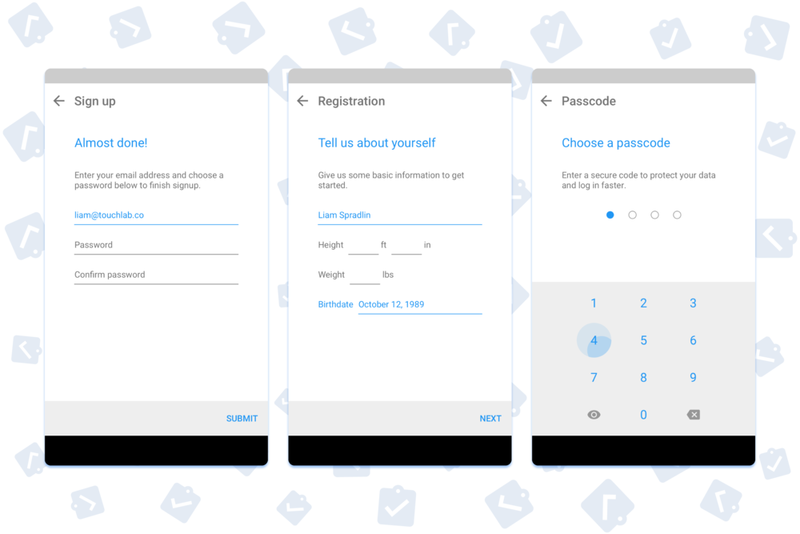 Brief: In the fall of 2015, touchlab partnered with Cornell Tech and Open mHealth to bring precise medical research apps to Android with an open source sdk and ux framework called ResearchStack. Executing this project would be unlike most projects - rather than designing one experience and interface for a single product, we would be designing and building an extensible framework, with designs covering many potential bits and pieces researchers and developers might need to carry out medical research on Android. So, how would we approach the UX framework? One of the primary goals (besides IRB approval) was to create an experience that was as easy and straightforward as possible but which also ensured that the user is - and remains - completely aware of how their data is managed and what information the apps collect. The other major piece was creating something users would want to use to keep track of their health and participate in studies. Anecdotally, we learned that some researchers creating apps for ResearchKit had challenges with user retention. The real value of mobile research studies is in accessibility - if users can join a study and track their information easily, studies could operate with unprecedented sample sizes. That’s why we decided to tackle this problem head-on. So with both of those goals in mind, the UIUX framework behind ResearchStack was broken into three main pieces - onboarding, dashboard and tasks, and data management and visualization. 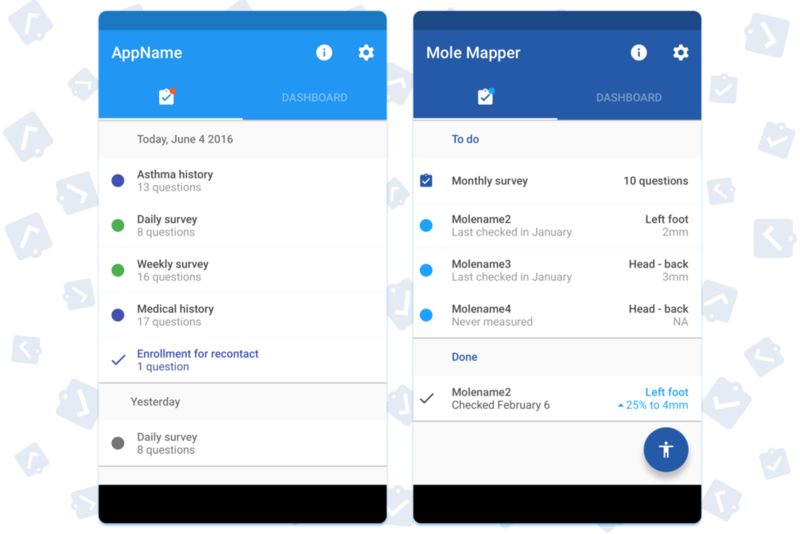 These three pieces would get the users smoothly into the app/study, make completing research and documentation tasks easy (and maybe even enjoyable), and make data clear for them and their care providers. 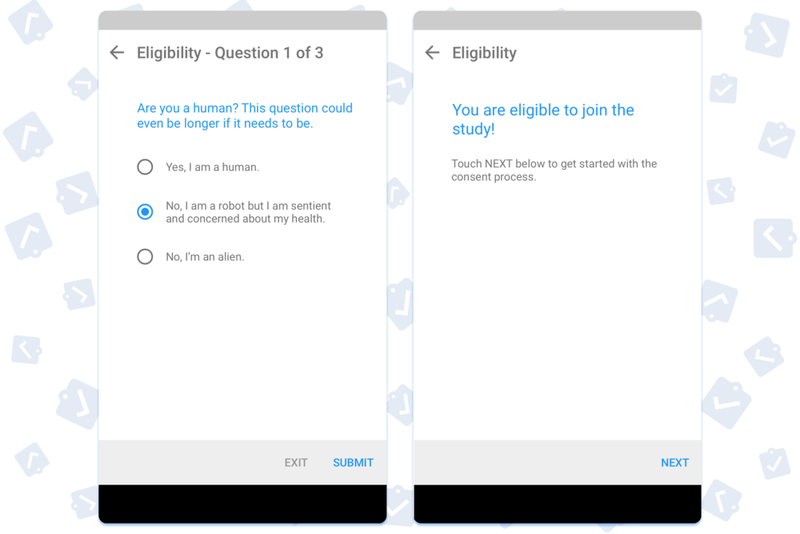 Inside a research app, we wanted to create some UX definitions for at least two primary goals - study participation through “tasks,” and the visualization of data for the user and their care providers. But this dynamic can change, even within the visual definitions we provided. For example, Mole Mapper’s tasks are simply divided into two subheads - to-do and done. Since Mole Mapper works on a monthly cycle and previous mole measurements are stored in an interface that visually connects them to the moles, there’s no reason to keep duplicate entries in a chronological timeline on the main interface.